Evening meals provided by Jane on the farm on two nights. Lunch on the farm £5 each day, excluding Friday 18th. 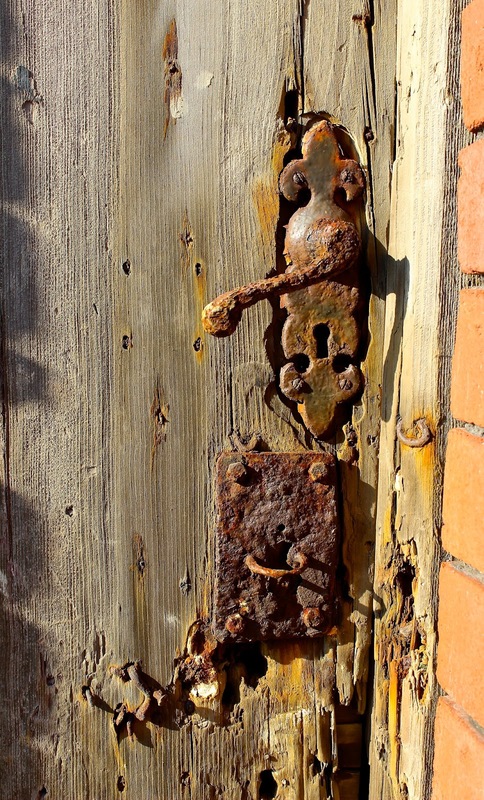 SATURDAY MAY 23RD: This month's Write on the Farm workshop will be held on Piel Island a small island at the far end of the Furness Peninsula in south west Cumbria. With a ruined Castle, King of Piel, pub and seals, it's an ideal 'away from it all' writing retreat. The workshop starts at 10.30am, when we catch the ferry to the island, and finishes around 4pm, when we return by ferry to Roa Island. A road connects Roa Island with Rampside. Please bring with you lunch and refreshments. You can also buy these in the pub on the island if you wish. Please come prepared for the weather and wear suitable footwear and clothing. Bring with you notebook and pens/pencils. £5 return on the ferry from Roa Island Jetty to Piel Island (and back). It's a short trip, but very enjoyable. 10am - Meet in free car park, Roa Island at 10am. Places limited to 10 people - please book early! Writing exercises will include: a 'point to point' around the island writing a plein air at a series of selected stopping points; exploring the idea of the eerie, referring to Rob MacFarlane's recent article in the Guardian and writing the landscape, as well as warm-up writing exercises designed to get your creative juices flowing! The island is rich in history from the Monks of Furness Abbey to smuggling to witnessing the launch of modern submarines, as well as wildlife, including Common and Grey Seals. How to get there: A590 to Booths roundabout, Ulverston - carry on across roundabout a short distance to a set of traffic lights. Turn left at these lights, following the signs for the A5087 "Coast Road, Bardsea" - continue along the Coast Road (which connects Ulverston and Barrow) Continue on the A5087 for about 15 minutes until you come to a roundabout. Turn left at the roundabout, for 'Rampside'. A causeway-road connects Rampside to Roa Island. Once on Roa Island, the free car park is on your right. Please note: should the weather be bad, then Plan B is to hold the workshop in Conishead Priory, where we can wander through the woods to the beach, look across to Chapel Island, and have refreshments in the gardens, or in the cafe. 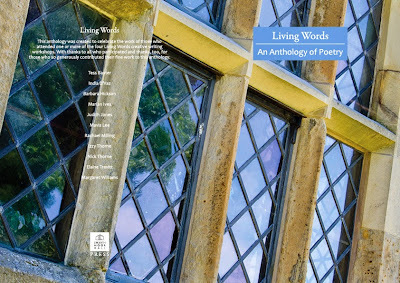 Delighted to say that my new collection of poetry and prose will be launched on Friday June 12th 2015, at 2.30pm, Swarthmoor Hall Ulverston Cumbria UK - all very welcome! Swarthmoor Hall is the Birthplace of Quakerism, home of Margaret Fell, her husband Judge Thomas Fell and after his death, her second husband, George Fox. To celebrate her role as writer in residence at Swarthmoor Hall local writer Geraldine Green will be reading from her new pamphlet collection called 'A Wing and a Prayer'. 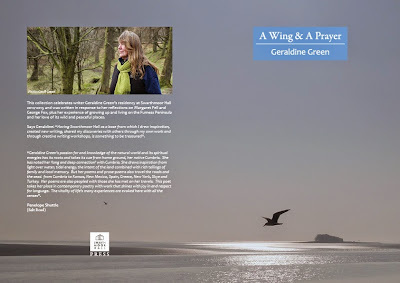 Geraldine’s work celebrates her residency at the Hall and was written in response to her reflections on Margaret Fell and George Fox, plus her experience of growing up on the Furness Peninsula and her love of its wild and peaceful places. Says Geraldine: "Having Swarthmoor Hall as a base from which I can draw inspiration, create new writing, share my discoveries with others through my own work and through creative writing workshops, is something to be treasured". Children’s workshop with Geraldine Green set in and around the wildflower meadow, gardens and inside the Hall. Refreshments provided. Join us for a celebration of writing from the Living Words creative writing workshops held in 2014. Participants wrote in response to a variety of poetry and prose themed around the elements and seasons and will be reading their work at the Festival from a new anthology entitled Living Words. After the readings there will be an opportunity to chat to writers over a cup of tea and slice of cake.